This straight garden bench in carved stone is an ornate patio seat. A dolphins base decorations, the top with eggs design style. 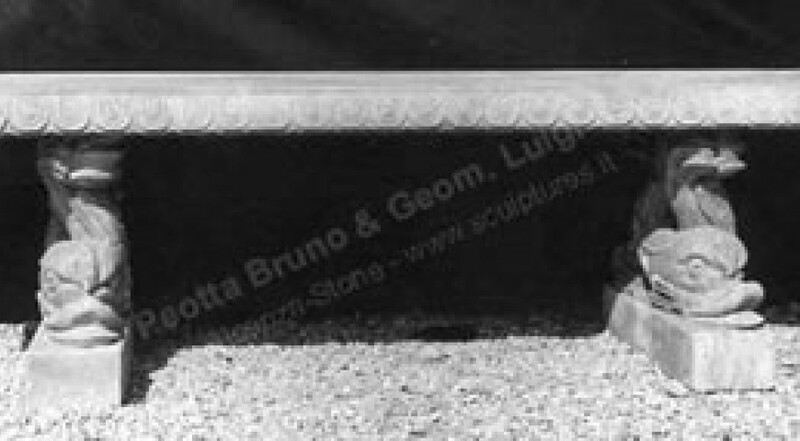 Mediterraneo italian style, designed from Peotta Bruno hand carved stone sculptures. The stone Straight is ideal for use on a patio, terrace or in a garden.